Convertible securities and preferred stocks. This entry was posted in Stars in the shadows on December 1, 2016 by David Snowball. The fund seeks to provide long-term capital appreciation primarily by investing in locally listed large, medium, and small quality companies broadly accessible to U.S. investors within Asian Emerging Markets. The Adviser conducts on-the-ground research to provide direct insight into these companies using its domain expertise in the region, and while it may invest in companies from any emerging market country, it expects to focus its investments in Asia. This entry was posted in Funds, Stars in the shadows on October 1, 2016 by Dennis Baran. This entry was posted in Funds, Stars in the shadows on September 1, 2016 by David Snowball. This entry was posted in Stars in the shadows on August 1, 2016 by David Snowball. 40-65 global equity positions constituting 30-70% of the portfolio depending on market conditions. Over the past five years, the range has been 54-62%. Income-generating covered calls which might be sold on 0-30% of the portfolio. Of late option premiums have not justified writing. Short/intermediate-term bonds, generally rated B+ or better and generally with an average maturity of approximately a year. Cash, which has traditionally been 5-15% of the portfolio. The fund seeks “maximum total return” through a combination of capital appreciation and income. The fund invests in undervalued securities, mostly mid- to large-cap dividend paying stocks. The manager has the option of investing in REITs, master limited partnerships, royalty trusts, preferred shares, convertibles, bonds and cash. The manager invests in companies “that it understands well.” The managers also generate income by selling covered calls on some of their stocks. The portfolio currently consists of about 30 holdings, 16 of which are stocks. Centaur Capital Partners, L.P., headquartered in Southlake, TX, has been the investment advisor for the fund since September 3, 2013. Before that, T2 Partners Management, LP advised the fund with Centaur serving as the sub-advisor. The first “T” of T2 was Whitney Tilson and this fund was named Tilson Dividend Fund. Centaur is a three person shop with about $90 million in AUM. It also advises the Centaur Value Fund LP, a hedge fund. Mr. Ashton has somewhere between $500,000 and $1,000,000 invested in the fund. One of the fund’s two trustees has a modest investment in it. That’s dependent on market conditions. Mr. Ashton speculates that he could have quickly and profitably deployed $25 billion in March, 2009. In early 2016, he saw more reason to hold cash in anticipation of a significant market reset. He’s managed a couple hundred million before but has no aspiration to take it to a billion. 1.95% after waivers on an asset base of $27 million. You’d think that a fund that had squashed the S&P 500 over the course of the current market cycle, and had done so with vastly less risk, would be swamped with potential investors. Indeed, you’d even hope so. And you’d be disappointed. Here’s how to read that chart: over the course of the full market cycle that began in October 2007, Centaur has outperformed its peers and the S&P 500 by 2.6 and 1.7 percent annually, respectively. In normal times, it’s about 20% less volatile while in bear market months it’s about 25% less volatile. In the worst-case – the 2007-09 meltdown – it lost 17% less than the S&P and recovered 30 months sooner. $10,000 invested in October 2007 would have grown to $18,700 in Centaur against $16,300 in Vanguard’s 500 Index Fund. Centaur Total Return presents itself as an income-oriented fund. The argument for that orientation is simple: income stabilizes returns in bad times and adds to them in good. The manager imagines two sources of income: (1) dividends paid by the companies whose stock they own and (2) fees generated by selling covered calls on portfolio investments. The latter, of late, have been pretty minimal. The core of the portfolio is a limited number (currently about 16) of high quality stocks. In bad markets, such stocks benefit from the dividend income – which helps support their share price – and from a sort of “flight to quality” effect, where investors prefer (and, to an extent, bid up) steady firms in preference to volatile ones. Almost all of those are domestic firms, though he’s had significant direct foreign exposure when market conditions permit. Mr. Ashton reports becoming “a bit less dogmatic” on valuations over time, but he remains one of the industry’s most disciplined managers. The manager also sells covered calls on a portion of the portfolio. At base, he’s offering to sell a stock to another investor at a guaranteed price. “If GM hits $40 a share within the next six months, we’ll sell it to you at that price.” Investors buying those options pay a small upfront price, which generates income for the fund. As long as the agreed-to price is approximately the manager’s estimate of fair value, the fund doesn’t lose much upside (since they’d sell anyway) and gains a bit of income. The profitability of that strategy depends on market conditions; in a calm market, the manager might place only 0.5% of his assets in covered calls but, in volatile markets, it might be ten times as much. And he’s done precisely that: a big part of his assets are from family and friends, people who know him and whose fates are visible to him almost daily. He’s served them well. You’re certain to least want funds like Centaur just when you most need them. As the US market reaches historic highs that might be today. For folks looking to maintain their stock exposure cautiously, and be ready when richer opportunities present themselves, this is an awfully compelling little fund. © Mutual Fund Observer, 2016. All rights reserved. The information here reflects publicly available information current at the time of publication. For reprint/e-rights contact us. This entry was posted in Stars in the shadows on May 1, 2016 by David Snowball. The fund pursues long-term capital appreciation by investing in high quality small cap equities, which they’ll only buy and hold when they’re undervalued. “Small stocks” are stocks comparable in size to those in common indexes like the Russell 2000; currently, that means a maximum cap of $6.5 billion. The fund can hold domestic and international common stocks, preferred stocks, convertible preferred stocks, warrants, and options. They typically hold 15-50 securities. High quality businesses, typically, are “internally financed companies generating cash in excess of their business needs, with predictable revenue streams, and in industries with high barriers to entry.” The managers calculate the intrinsic value of a lot of small companies, though very few are currently selling at an acceptable discount to those values. As a result, the fund has about two-thirds of its portfolio in cash (as of March 2016). When opportunities present themselves, though, the managers deploy their cash quickly; in 2011, the fund moved from 40% cash down to 20% in the space of two weeks. Intrepid Capital Management. Intrepid was founded in 1994 by the father and son team of Forrest and Mark Travis. It’s headquartered in Jacksonville, Florida; the location is part of a conscious strategy to distance themselves from Wall Street’s groupthink. Rather distinctively, their self-description stresses the importance of the fact that their managers have rich, active lives (“some of us surf … others spend weekends at kids’ football games”) outside of work. That focus “makes us a better company and better managers.” They are responsible for “approximately $800 million for individuals and institutional investors through a combination of separately managed accounts, no-load mutual funds, and a long/short hedge fund.” They advise six mutual funds. Jayme Wiggins, Mark Travis and Greg Estes. Mr. Wiggins, whose first name is pronounced “Jay Mee,” is the lead manager and the guy responsible for the fund’s day-to-day operations. His career is just a bit complex: right after college, he joined Intrepid in 2002 where he worked as an analyst on the strategy before it even became a fund. In 2005 Jayme took over the high-yield bond strategy which, in 2007, was embodied in the new Intrepid Income Fund (ICMUX). In 2008, he left to pursue his MBA at Columbia. While he was away, Endurance’s lead manager Eric Cinnamond left to join River Road Asset Management. Upon his return in September 2010, Jayme became lead manager here. Mr. Travis is one of Intrepid’s founders and the lead manager on Intrepid Capital (ICMBX). Mr. Estes, who joined the firm in 2000, is lead manager of Intrepid Disciplined Value (ICMCX). Each member of the team contributes to each of the firm’s other funds. The managers would likely begin discussions about the fund’s assets when it approaches the $1 billion level, but there’s no firm trigger level. What they learned from the past was that too great a fraction of the fund’s assets represented “hot money,” people who got excited about the fund’s returns without ever becoming educated about the fund’s distinctive strategy. When the short-term returns didn’t thrill them, they fled. The managers are engaged now in discussions about how to attract more people who “get it.” Their assessment of the type of fund flows, as much as their amount, will influence their judgment of how and when to act. 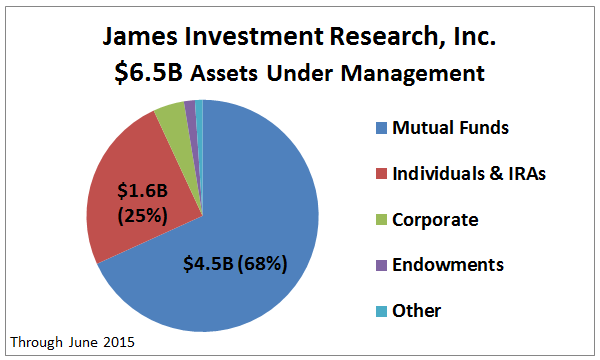 All of the fund’s managers have personal investments in it. Messrs. Travis and Wiggins have between $100,000 and $500,000 while Mr. Estes has between $10,000 and $50,000. The fund’s three independent directors also all have investments in the fund; it’s the only Intrepid fund where every director has a personal stake. 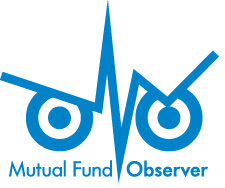 The underlying small cap strategy launched in October, 1998; the mutual fund was opened on October 3, 2005. $2,500 for Investor shares, $250,000 for Institutional (ICMZX) shares. 1.40% on assets of approximately $250 million (as of 3/30/16). You should not buy businesses that you’ll regret owning. At base, you wouldn’t want to own a mismanaged, debt-ridden firm in a dying industry. You should not pay prices that you’ll regret paying. If a company is making a million dollars a year, no matter how attractive it is, it would be unwise to pay $100 million for it. You should not buy funds that invest in businesses regardless of their quality or price. Don’t buy trash, don’t pay ridiculous amounts even for quality goods. You should buy funds that act responsibly in allocating money based on the availability of quality businesses at low prices. Identify high quality goods that you’d like to own, but keep your money in your wallet until they’re on a reasonable sale. The average investor, individual and professional, consistently disregards those two principles. Cap-weighted index funds, by their very nature, are designed to throw your money at whatever’s been working recently, regardless of price or quality. If Stock A has doubled in value, its weighting in the index doubles and the amount of money subsequently devoted to it by index investors doubles. Conversely, if Stock B halves in value, its weighting is cut in half and so is the money devoted to it by index funds. Most professional investors, scared to death of losing their jobs because they underperformed an index, position their “actively managed” funds as close to their index as they think they can get away with. Both the indexes and the closet indexers are playing a dangerous game. Four S&P tech stocks—Facebook, Amazon, Netflix, and Google (the “FANGs”)—accounted for $450 billion of growth in market cap in 2015, while the 496 other stocks in the S&P collectively lost $938 billion in capitalization. Amazon’s market capitalization is $317 billion, which is bigger than the combined market values of Walmart, Target, and Costco. These three old economy retailers reported trailing twelve month GAAP net income of nearly $17 billion, while Amazon’s net income was $328 million. As of late March, 2016, Amazon trades at 474 times earnings. The other FANG stocks sell for multiples of 77, 330 and 32. Why are people buying such crazy expensive stocks? Because everyone else is buying them. That’s not going to end well. The situation among small cap stocks is worse. As of April 1, 2016, the aggregate price/earnings ratio for stocks in the small cap Russell 2000 index is “nil.” It means, taken as a whole, those 2000 stocks had no earnings over the past 12 months. A year ago, the p/e was 68.4. In late 2015, the p/e ratios for the pharma, biotech, software, internet and energy sectors of the Russell 2000 were incalculable because those sectors – four of five are very popular sectors – have negative earnings. At the moment, just 50 of 2050 active U.S. equity mutual funds are holding significant cash (that is, 20% or more of total assets). Only nine small cap funds are holding out. That includes Intrepid Endurance whose portfolio is 67% cash. 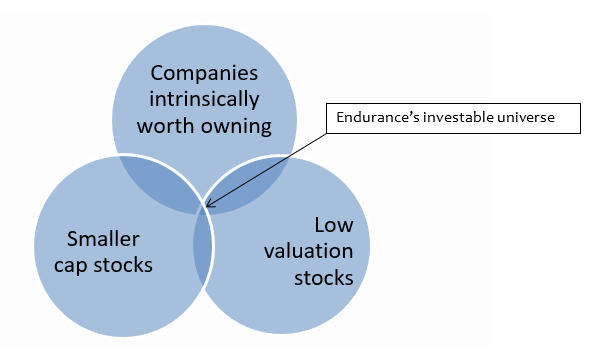 Endurance looks for 30-40 high-quality companies, typically small cap names, whose prices are low enough to create a reasonable margin of safety. Mr. Wiggins is not willing to lower his standards – for example, he doesn’t want to buy debt-ridden companies just because they’re dirt cheap – just for the sake of buying something. You’ll see the challenge he faces as you consider the Observer’s diagram of the market’s current state and Endurance’s place in it. For now, Mr. Wiggins is doing what he needs to do to protect his investors in the short term and enrich them in the longer term. He’s got 12 securities in the portfolio, in addition to the large cash reserve. He’s been looking further afield than usual because he’d prefer being invested to the alternative. Among his recent purchases are the common stock of Corus Entertainment, a small Canadian firm that’s Canada’s largest owner of women’s and children’s television networks, and convertible shares in EZcorp, an oddly-structured (hence mispriced) pawn shop operator in the US and Mexico. While you might be skeptical of a fund that’s holding so much cash, it’s indisputable that Intrepid Endurance has been the single best steward of its shareholders’ money over the full market cycle that began in the fall of 2007. We track three sophisticated measures of a fund’s risk-return tradeoff: its Sharpe ratio, Sortino ratio and Martin ratio. Endurance has the highest score on all three risk-return ratios among all small cap funds – domestic, global, and international, value, core and growth. We track short-term pain by looking at a fund’s maximum drawdown, its Ulcer index which measures the depth and duration of a drawdown, its standard deviation and downside deviation. Endurance has the best or second best record, among all small cap funds, on all of those risk measures. It also has the best performance during bear market months. Endurance is not a fund for the impatient or impetuous. It’s not a fund for folks who love the thrill of a rushing, roaring bull market. It is a fund for people who know their limits, control their greed and ask questions like “if I wanted to find a fund that I could trust to handle the next seven to ten years while I’m trying to enjoy my life, which would it be?” Indeed, if your preferred holding period for a fund is measured in weeks or months, the Intrepid folks would suggest you go find some nice ETF to speculate with. If you’re looking for a way to get ahead of the inevitable crash and profit from the following rebound, you owe it to yourself to spend some time reading Mr. Wiggins’ essays and doing your due diligence on his fund. This entry was posted in Funds, Stars in the shadows on April 1, 2016 by David Snowball. The fund seeks long-term capital appreciation by investing in micro-, small- and mid-cap financial services stocks with market caps up to $5 billion. The financial services industry includes banks, savings & loans, insurance, investment managers, brokers, and the folks who support them. The managers anticipate having 40% of the portfolio in non-U.S. stocks with up to 10% in the developing markets. The fund holds about 100 stocks. The managers look for companies with excellent business strengths, high internal rates of return, and low leverage. They buy when the stocks are trading at a significant discount. Royce & Associates, LLC, is owned by Legg Mason, though it retains autonomy over its investment process and day-to-day operations. Royce is a small-company specialist with 18 open-end funds, three closed-end funds, two variable annuity accounts, and a several separately managed accounts. It was founded by Mr. Royce in 1972 and now employs more than 100 people, including 30 investment professionals. As of 12/31/2015, Royce had $18.5 billion in assets under management. $111 million of that amount was personal investments by their staff. When we published our 2008 profile, Royce had 27 funds and $30 billion and slightly-higher internal investment. Charles Royce and Chris Flynn. Mr. Royce is the adviser’s founder, CEO and senior portfolio manager. He often wears a bowtie, and manages or co-manages six other Royce funds. Mr. Flynn serves as assistant portfolio manager and analyst here and on three other funds. They’ve overseen the fund since inception. Royce estimates the strategy could handle $2 billion or so, and notes that they haven’t been hesitant to close funds when asset flows become disruptive. Mr. Royce has over $1,000,000 directly invested in the fund. Mr. Flynn has invested between $50,000 – 100,000. All told, insiders owned 5.70% of the fund’s shares as of November 30, 2015. $2,000 for regular accounts, $1000 for IRAs. 1.49% on an asset base of $52 million, with a 1% redemption fee on shares held less than 30 days. Royce Global Financial Services Fund is a financial sector fund unlike any other. First, it invests in smaller firms. The fund’s average market cap is about $2 billion while its average peer’s is $27 billion. Over 20% of the portfolio is invested in microcap stocks, against a norm of 2%. Second, it invests internationally. About 32% of the portfolio is invested internationally, which that rising steadily toward the 40% threshold required by the “global” name. For the average financial services fund, it’s 5%. Third, it pursues value investing. That’s part of the Royce DNA. Financial services firmly are famously tricky to value but, measured by things like price/cash flow, price/sales or dividend yield, the portfolio trades at about half the price of its average peer. And fourth, it doesn’t focus on banks and REITs. Just 11% of the fund is invested in banks, mostly smaller and regional, and real estate is nearly invisible. By contrast, bank stocks constitute 34% of the S&P Financial Sector Index and REITs add 18% more. In short: it’s way different. The question is, should you make room for it in your portfolio? The answer to that question is driven by your answer to two others: (1) should you overweight the financial sector? And (2) if so, are there better options available? On investing in the financial services sector. Two wise men make the case. Illegal withdrawals specialist Willie Sutton is supposed to have answered the question “why do you rob banks?” with “because that’s where the money is.” And remember all that advice from Baron Rothschild that you swore you were going to take next time? The stuff about buying “when there’s blood in the streets” and the advice to “buy on the sound of cannons and to sell on the sound of trumpets”? Well, here’s your chance, little bubba! Over the 100 months of the latest market cycle, the financial services sector has returned less than zero. From November 2007 to January 2016, funds in this category have lost 0.3% annually while the Total Stock Market gained 5.0%. If you had to guess what sector had suffered the worst losses in the six months from last July to January, you’d probably guess energy. And you’d be wrong: financials lost more, though by just a bit. In the first two months of 2016, the sector dropped another 10%. Growing financial strength: Most financial institutions have paid back government loans and some are increasing share buybacks and dividend payments, illustrating their growing health and stability. Improving consumer finances: Recent delinquent loan estimates have decreased among credit card companies, indicating improving balance sheets. … the pace at which new rules and restrictions have been imposed is leveling off. With balance sheets solidified, financial companies are now being freed from some regulatory restrictions. This should allow them to make better business decisions, as well as raise dividend payments and increase share-buyback programs, which could help bolster share prices. Are valuations really low, here and abroad? Yes, definitely. Has the industry suffered carnage? Yes, definitely. Could things in the financial sector get worse? Yes, definitely. Does all of that raise the prospect of abnormal returns? Again yes, definitely. There are two things to note here. Second, Royce has done well. The data on the fund’s homepage makes a pretty compelling case for it. It’s beaten the Russell 2500 Financials index over the past decade and since inception. It’s earned more than 5% annually in 100% of the past rolling 10-year periods. It’s got below average volatility and has outperformed its benchmark in all 11 major (i.e., greater than 7.5%) drawdowns in its history. It’s got a lower standard deviation, smaller downside capture and higher Sharpe ratio than its peers. Here are two ways of looking at Royce’s returns. First, the returns on $10,000 invested at the inception of RYFSX compared to its peers. Second, those same returns during the current market cycle which began in October 2007, just before the crash. The wildcard here is Mr. Royce’s personal future. He’s the lead manager and he’s 74 years old. Mr. Lipper explains that the firm is well aware of the challenge and is midway through a still-evolving succession plan. He’s the CEO but he’s no longer than CIO, a role now split among several colleagues. In the foreseeable future, he’s step away from the CEO role to focus on investment management. And Royce has reduced, and will continue to reduce, the number of funds for which Mr. Royce is responsible. And, firm wide, there’s been “a major rationalization” of the fund lineup to eliminate funds that lacked distinct identities or missions. There’s little question that Royce Global Financial will be a profitable investment in time. The two questions that you’ll need to answer are (1) whether you want a dedicated financial specialist and (2) whether you want to begin accumulating shares during a weak-to-wretched market. If you do, Royce is one of a very small handful of financial services funds with the distinct profile, experienced management and long record which warrant your attention. Royce Global Financial Services Fund. The fund’s factsheet is exceptionally solid, in a wonky sort of way, and the fund’s homepage is one of the best out there for providing useful performance analytics. This entry was posted in Stars in the shadows on March 1, 2016 by David Snowball. The fund seeks long-term growth of capital independent of stock market direction. The managers balance long and short positions in domestic large cap stocks within the S&P 500 universe. They calculate a company’s Return on Tangible Assets (ROTA) and Return on Market Value of Equity (ROME). The former is a measure of a firm’s value; the latter measures its stock valuation. They buy good businesses as measured by ROTA and significantly undervalued firms as measured by ROME. Their short positions are made up of poor businesses that are significantly overvalued. As a risk-management measure and to achieve beta neutrality, their individual short positions are generally a lower dollar amount, but constitute more names than the long portfolio. Cognios Capital LLC. Cognios, headquartered near Kansas City was founded in 2008. It’s an independent quantitative investment management firm that pursues both long-only and hedged strategies. As of December 31, 2015, they had $388 million in assets under management. They manage a hedge fund and accounts for individual and institutional clients as well as the mutual fund. The senior folks at Cognios are deeply involved with charitable organizations in the Kansas City area. Jonathan Angrist, Brian Machtley and Francisco Bido. Mr. Angrist, Cognios’s cofounder, president and chief investment officer, has co-managed the fund since its inception. He co-owned and was a portfolio manager at Helzberg Angrist Capital, an alternative asset manager that was the predecessor firm to Cognios. He helped launch, and briefly managed, Buffalo Micro Cap fund. Mr. Machtley, Cognios’ chief operating officer, has co-managed the fund since its inception. Previously, Mr. Machtley served as an associate portfolio manager at a Chicago-based hedge fund manager focused on micro-capitalization equities. Mr. Bido is Cognios’ head of quantitative research. Prior to joining Cognios in 2013, Mr. Bido was a senior quantitative researcher with American Century Investments. At $3 billion, the managers would need to consider closing the fund. The strategy capacity is limited primarily by its short portfolio, which has more numerous but smaller positions than the long portfolio. Messrs. Angrist and Machtley have between $100,000 – 500,000 each in the fund. Mr. Bido has between $10,000 – 50,000. One of the fund’s trustees has an investment of $10,000 – $50,000 in the fund. The vast majority of the fund’s shares – 98% of investor shares and 64% of institutional ones, as of the last Statement of Additional Information – were owned by the A. Joseph Brandmeyer Trust. Mr. Brandmeyer founded the medical supplies company Enturia and is the father of one of the Cognios founders. $1,000 for the individual shares and $100,000 for the institutional shares (COGIX). Excluding dividend expenses, borrowing costs and brokerage expenses on securities sold short, the expense ratio is 1.95% on assets of $31 million, as of January 2016. Once the “excluded” expenses are factored-in, the expense ratio bounces to 3.96% on the retail shares and 3.71% for the institutional ones. Market neutral funds, mostly, are a waste of time. In general, they invest $1 long in what they consider to be a great stock and $1 short in what they consider to be an awful one. Because there are equal long and short positions, the general movement of the stock market should be neutralized. At that point, the fund’s return is driven by the difference in performance between a great stock and an awful one: if the great stock goes up 10% and the awful one goes up 5%, the fund makes 5%. If the great stock drops 5% and the awful one drops 10%, the fund makes 5%. Sadly, practice badly lags the theory. The average market neutral fund has made barely 1% annually over the past three and five year periods. On average, they lost money in the turbulent January 2016 with about 60% of the category in the red. Only two market neutral funds have managed to earn 5% or more over the past five years while two others have lost 5% or more. No matter how low you set the bar, the great majority of market neutral funds cannot clear it. In short, they charge hedge fund-like fees for the prospect of cash-like returns. The short answer is, because we need risk mitigation and our traditional tool for it – investing in bonds – is likely to fail us. Bonds are generating very little income, with interest rates at or near zero there’s very little room for price appreciation (the price of bonds rise when interest rates fall), there are looming questions about liquidity in the bond market and central bankers have few resources left to boost markets. Fortunately, a few market neutral funds seem to have gotten the discipline right. Cognios is one of them. The fund has returned 7.6% annually over the three years of its existence, while its peers made 1.2%. In January 2016, the fund returned 4.3% while the stock market dropped 5% and its peers lost a fraction of a percent. That record places it in the top 4% of its peer group in the company of two titans: BlackRock and Vanguard. What has Cognios gotten right? Their portfolio is beta neutral, rather than dollar neutral. In a typical dollar-neutral portfolio, there’s $1 long for $1 short. That can be a serious problem if the beta characteristics of the short portfolio don’t match those of the long portfolio; a bunch of high beta shorts paired with low beta long positions is a recipe for instability and under-performance. Cognios focuses on keeping the portfolio beta-neutral: if the beta of the short portfolio is high relative to the long, they reduce the size of the short portfolio. That more completely cancels the effects of market movements on the fund’s return. Their long positions are in high-quality value stocks, rather than growth ones. They use a quantitative screen called ROTA/ROME ™. ROTA (Return on Tangible Assets) is a way of identifying high-quality businesses. At base, it measures a sort of capital efficiency: a company that generates $300 million in returns on a $1 billion in assets is doing better than a company that generates $150 million in returns on those same assets. Cognios research shows ROTA to be a stable identifier of high quality firms; that is, firms that use capital well in one period tend to continue doing so in the future. As Mr. Buffett has said, “A good business is one that earns high return on tangible assets. That’s pretty simple. The very best businesses are the ones that earn a high return on tangible assets and grow.” The combined quality and value screens skew the portfolio toward value. They also only invest in S&P 500 stocks – no use of derivatives, futures or swaps. They target equity-like returns. Most market neutral managers strive for returns in the low single-digits, to which Mr. Angrist echoes the question: “why bother?” He believes that with a more concentrated portfolio – perhaps 50 long positions and 100 short ones – he’s able to find and exploit enough mispriced securities to generate substantially better returns. They don’t second-guess their decisions. Their strategy is mechanical and repeatable. They don’t make top-down calls about what sectors are attractive, nor do they worry about the direction of the market, terrorism, interest rates, oil prices or the Chinese banking system. If they’ve managed to neutralize the effect of market movements on the portfolio, they’ve also made fretting about such things irrelevant. So they don’t. They focus. This is their flagship product and their only mutual fund. A market neutral strategy isn’t designed to thrive in a bull market, where even bad companies are assigned ever-rising prices. These funds are designed to serve you in uncertain or falling markets. It’s unclear, with the prospect that both stocks and bonds might be volatile and falling, that traditional strategies will fully protect you. GMO’s December 2015 asset class returns suggest that a traditional 60/40 hybrid fund will lose 1.4% annually in real terms over the next five to seven years. Of the three market neutral funds with the best records (Vanguard Market Neutral VMNFX with a $250,000 minimum and BlackRock Event Driven Equity BALPX with a 5.75% load are the other two), Cognios is by far the smallest, most accessible and most interesting. You might want to learn more about it. This entry was posted in Stars in the shadows on February 1, 2016 by David Snowball. Leuthold Core pursues capital appreciation and income through the use of tactical asset allocation. Their objective is to avoid significant loss of capital and deliver positive absolute returns while assuming lower risk exposure and lower relative volatility than the S&P 500. Assets are allocated among stocks and ADRs, corporate and government bonds, REITs, commodities, an equity hedge and cash. At one time, the fund’s commodity exposure included direct ownership of physical commodities. Portfolio asset class weightings change as conditions do; exposure is driven by models that determine each asset class’s relative and absolute attractiveness. 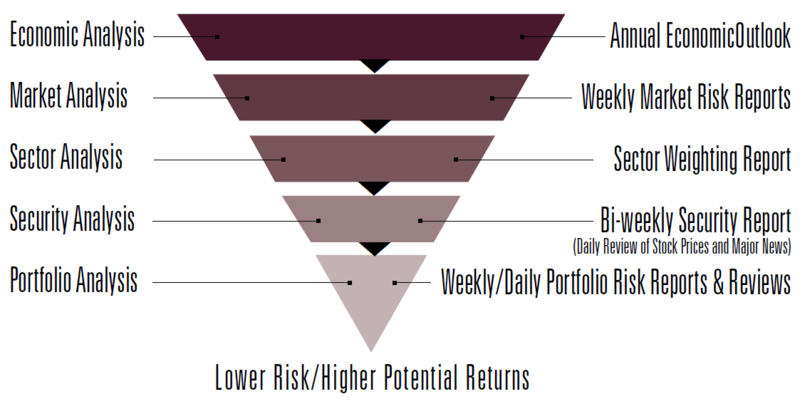 Equity and fixed-income exposure each range from 30-70% of the portfolio. At the end of 2013, equities comprised 67% of the portfolio. At the end of 2015, 55% of the portfolio was invested in “long” equity positions and 17% was short, for a net exposure under 40%. Leuthold Weeden Capital Management (LWCM). The Leuthold Group began in 1981 as an institutional investment research firm. Their quantitative analyses eventually came to track several hundred factors, some with data dating back to the Great Depression. In 1987, they founded LWCM to direct investment portfolios using the firm’s financial analyses. They manage $1.6 billion through five mutual funds, separate accounts and limited partnerships. Doug Ramsey, Chun Wang, Jun Zhu and Greg Swenson. Mr. Ramsey joined Leuthold in 2005 and is their chief investment officer. Mr. Swenson joined Leuthold in 2006 from FactSet Research. Ms. Zhu came to Leuthold in 2008 after earning an MBA from the Applied Security Analysis Program at the University of Wisconsin-Madison. While there, she co-managed a $60 million university endowment fund run by students at the program. Mr. Wang joined in 2009 after a stint with a Hong Kong-based hedge fund and serving as director of research for Ned Davis Research. Collectively the team shares responsibility for testing and refining the firm’s quantitative models and for managing four of their five funds, Grizzly Short (GRZZX) excepted. About $5 billion. Core was hard-closed in 2006 when it reached $2 billion in assets. That decision was driven by limits imposed by the manager’s ability to take a meaningful position in the smallest of the 155 industry groups (e.g. industrial gases) that they then targeted. Following Steve Leuthold’s retirement to lovely Bar Harbor, Maine, the managers studied and implemented a couple refinements to the strategy (somewhat fewer but larger industry groups, somewhat less concentration) that gave the strategy a bit more capacity. Three of the fund’s four managers have investments in the fund, ranging from Mr. Swenson’s $50,000 – 100,000 on the low end to Mr. Ramsey at over $1 million on the high end. All four of the fund’s trustees have substantial investments either directly in the fund or in a separately-managed account whose strategy mirrors the fund’s. $10,000, reduced to $1,000 for IRAs. The minimum for the institutional share class (LCRIX) is $1,000,000. 1.16% on assets of $871 million, as of January 2016. Leuthold Core Investment was the original tactical asset allocation fund. While other, older funds changed their traditional investment strategies to become tactical allocation funds when they came in vogue three or four years ago, Leuthold Core has pursued the same discipline for two decades. Leuthold’s asset allocation funds construct their portfolios in two steps: (1) asset allocation and (2) security selection. They start by establishing a risk/return profile for the bond market and establishing the probability that stocks will perform better. That judgment draws on Leuthold’s vast experience with statistical analysis of the market and the underlying economies. Their “Major Trends Index,” for example, tracks over 100 variables. This judgment leads them to set the extent of stock exposure. Security selection is then driven by one of two strategies: by an assessment of attractive industries or of individually attractive stocks. Core focuses on industry selection and its equity portfolio is mirrored in Leuthold Select Industries. Leuthold uses its quantitative screens to run through over 115 industry-specific groups composed of narrow themes, such as Airlines, Health Care Facilities, and Semiconductors to establish the most attractive of them. Core and Select Industries then invest in the most attractive of the attractive sectors. Mr. Ramsey notes that they’ll only consider investing in the most attractive 20% of industries; currently they have positions in 16 or 17 of them. Within the groups, they target attractively priced, financially sound industry leaders. Mr. Ramsay’s description is that they function as “value investors within growth groups.” They short the least attractive stocks in the least attractive industries. Why should you care? Leuthold believes that it adds value primarily through the strength of its asset allocation and industry selection decisions. By shifting between asset classes and shorting portions of the market, it has helped investors dodge the worst of the market’s downturns. Here’s a simple comparison of Core’s risk and return performance since inception, benchmarked against the all-equity S&P 500. Over time, Core has had slightly higher returns and substantially lower volatility than has the stock market. Morningstar and Lipper have, of course, different peer groups (Tactical Allocation and Flexible Portfolio, respectively) for Core. It has handily beaten both. Core’s returns are in the top 10% of its Morningstar peer groups for the past 1, 3, 5, 10 and 15 year periods. Our Lipper data does not allow us to establish Leuthold’s percentile rank against its peer group but does show a strikingly consistent picture of higher upside and lower downside than our “flexible portfolio” funds. In the table below, Cycle 4 is the period from the dot-com crash to the start of the ’08 market crisis while Cycle 5 is from the start of the market crisis to the end of 2015. The 20-year report is the same as the “since inception” would be. Modestly higher short-term volatility is possible but, in general, more upside and less downside than other similarly active funds. And, too, Leuthold costs a lot less: 1.16% with Leuthold rather than 1.42% for its Morningstar peers. At the Observer, we’re always concerned about the state of the market because we know that investors are much less risk tolerant than they think they are. The years ahead seem particularly fraught to us. Lots of managers, some utterly untested, promise to help you adjust to quickly shifting conditions. Leuthold has delivered on such promises more consistently, with more discipline, for a longer period than virtually any competitor. Investors who perceive that storms are coming, but who don’t have the time or resources to make frequent adjustments to their portfolios, should add Leuthold Core to their due-diligence list. Investors who are impressed with Core’s discipline but would like a higher degree of international exposure should investigate Leuthold Global (GLBLX). Global applies the same discipline as Core, but starts with a universe of 5000 global stocks rather than 3000 domestic-plus-ADRs one. FTEMX seeks income and capital growth by investing in both emerging markets equities and emerging markets debt. White their neutral weighting is 60/40 between stocks/bonds, the managers adjust the balance between equity and debt based on which universe is most attractively positioned. In practice, that has ranged between 55% – 75% in equities. Within equities, sector and regional exposure are driven by security selection; they go where they find the best opportunities. The debt portfolio is distinctive; it tends to hold US dollar-denominated debt (a conservative move) but overweight frontier and smaller emerging markets (an aggressive one). Fidelity Investments. Fidelity has a bewildering slug of subsidiaries spread across the globe. Collectively they manage 575 mutual funds, over half of those institutional, and $2.1 trillion in assets. John Carlson and a five person team of EM equity folks. Mr. Carlson has managed Fidelity’s EM bond fund, New Markets Income (FNMIX), since 1995. He added Global High Income (FGHIX) in 2011. He was Morningstar’s Fixed-Income Manager of the Year in 2011. He manages $7.8 billion and is supported by a 15 person team. The equity managers are Timothy Gannon, Jim Hayes, Sam Polyak, Greg Lee and Xiaoting Zhao. Gannon, Hayes and Polyak have been with the fund since inception, Lee was added in 2012 and Zhao in 2015. These folks have been responsible since 2014 for Emerging Markets Discovery (FEDDX), a four star fund with a small- to mid-cap bias. They also help manage Fidelity Series Emerging Markets (FEMSX), a four star fund that is only available to the managers of Fidelity funds-of-funds. The equity managers are each responsible for investing in a set of industries: Hayes (financials, telecom, utilities), Polyak (consumer and materials), Lee (industrials), Gannon (health care) and Zhao (tech). They help manage between $2 – 12 billion each. Messrs. Carlson, Gannon and Hayes have each invested between $100,000 and $500,000. Mr. Lee and Mr. Polyak have no investment in the fund. None of the fund’s 10 trustees have an investment in it. While they oversee Fidelity’s entire suite of EM funds, five of the 10 have no investment in any of the EM funds. 1.40% on assets of $62 million (as of 11/01/2015). There’s also a 1.5% redemption fee on shares held fewer than 90 days. The argument for considering an emerging markets fund is simple: they offer the prospect of being the world’s best performing asset class over the next 5 or 10 years. In October 2015, GMO estimated that EM stocks (4.0% real return) would be the highest returning asset class over the next 5-7 years, EM bonds (2.2%) would be second. Most other asset classes were projected to have negative real returns. At the same moment, Rob Arnott’s Research Affiliates was more optimistic, suggesting that EM stocks are priced to return 7.9% a year with high volatility compared with 1.1% in the US and 5.3% in the other developed markets. Given global demographics, it wouldn’t be surprising, give or take the wildcard effects of global warming, for them to be the best asset class over the next 50 or 100 years as well. The argument against considering an emerging markets fund is simple: emerging markets are a mess. Their markets tend to be volatile. 30-60% drawdowns are not uncommon. National economies are overleveraged to commodity prices and their capital markets (banks, bond auctions, stock markets) can’t be relied upon; Andrew Foster, my favorite emerging markets manager and head of the Seafarer fund, argues that broken capital markets are almost a defining characteristic of the emerging markets. Investors yanked over a trillion dollars from emerging markets over the past 12 months. The argument for investing in emerging markets through a balanced fund is simple: they combine higher returns and lower volatility than you can achieve through 100% equity exposure. The evidence here is a bit fragmentary (because the “e.m. balanced” approach is new and neither Morningstar nor Lipper have either a peer group or a benchmark) but consistent. The oldest EM balanced fund, the closed-end First Trust Aberdeen Emerging Opportunities Fund (FEO), reports that from 2006-2014 a blended benchmark returned 6.9% annually while the FTSE All World Emerging Market Equity Index returned 5.9%. From late 2011 to early 2015, Fidelity calculates that a balanced index returned 5.6% while the MSCI Emerging Markets Index returns 5.1%. Both funds have lower standard deviations and higher since-inception returns than an equity index. Simply rebalancing each year between Fidelity’s EM stock and bond funds so that you end up with a 60/40 weighting in a hypothetical balanced portfolio yields the same result for the past 10- and 15-year periods. If balanced makes sense, does Fidelity make special sense? Two things stand out. First, the lead manager John Carlson is exceptionally talented and experienced. He’s been running Fidelity New Market Income (FNMIX), an emerging markets bond fund, since 1995. He’s the third longest-tenured EM bond manager and has navigated his fund through a series of crises initiated in Mexico, Asia and Russia. He earned Morningstar’s Fixed-Income Fund Manager of the Year in 2011. $10,000 entrusted to him when I took over FNMIX would have grown to $100,000 now while his average peer would be about $30,000 behind. Since inception in 2011, the strategy has worked. The fund has returned 2.9% a year in very rocky times while its all-equity peers lost money. Both measures of volatility, standard deviation and downside deviation, are noticeably lower than an EM equity fund’s. I am biased in favor of EM investing. Despite substantial turmoil, it makes sense to me but only if you have a strategy for coping with volatility. Mr. Carlson has done a good job of it, making this the most attractive of the EM balanced funds on the market. There are other risk-conscious EM funds (most notable Seafarer Overseas Growth & Income SFGIX and the hedged Driehaus Emerging Markets Small Cap DRESX) but folks wanting even more of a buffer might reasonably start by looking here. Disclosure: I own shares of FTEMX through my college’s 403b retirement plan and shares of SFGIX in my non-retirement portfolio. This entry was posted in Funds, Stars in the shadows on December 1, 2015 by David Snowball. THIS IS AN UPDATE OF THE FUND PROFILE ORIGINALLY PUBLISHED IN June 2011. YOU CAN FIND THAT ORIGINAL PROFILE HERE. The fund seeks long-term capital appreciation and income, while trying to maintain a sense of “prudent investment risk over the long-term.” RNCOX is a “balanced” fund with several twists. First, it adjusts its long-term asset allocation in order to take advantage of tactical allocation opportunities. Second, it invests primarily in a mix of closed-end mutual funds and ETFs. Lipper’s designation, as a Global Macro Allocation fund, provides a more realistic comparison than Morningstar’s Moderate Allocation assignment. RiverNorth Capital Management. RiverNorth is a Chicago-based firm, founded in 2000 with a distinctive focus on closed-end fund arbitrage. They have since expanded their competence into other “under-followed, niche markets where the potential to exploit inefficiencies is greatest.” RiverNorth advises three limited partnerships and the four RiverNorth funds: RiverNorth/Oaktree High Income (RNOTX), Equity Opportunity (RNEOX), RiverNorth/DoubleLine Strategic Income (RNDLX) and this one. They manage about $3.0 billion through limited partnerships, mutual funds and employee benefit plans. Patrick Galley and Stephen O’Neill. Mr. Galley is RiverNorth’s President, Chairman and Chief Investment Officer. He also manages all or parts of three RiverNorth funds with Mr. O’Neill. Before joining RiverNorth Capital in 2004, he was a Vice President at Bank of America in the Global Investment Bank’s Portfolio Management group. Mr. O’Neill specializes in qualitative and quantitative analysis of closed-end funds and their respective asset classes. Prior to joining RiverNorth in 2007, he was an Assistant Vice President at Bank of America in the Global Investment Bank’s Portfolio Management group. Messrs Galley and O’Neill manage about $1.7 billion in other pooled assets. The fund holds almost as much money as it did when it closed to new investors. The managers describe themselves as “comfortable now” with the assets in the fund. Three factors would affect their decision to close it again. First, market volatility makes them predisposed to stay open. That volatility feeds the CEF discounts which help drive market neutral alpha. Second, strong relative performance will draw “hot money” again, which they’d prefer to avoid dealing with. Finally, they prefer a soft close which would leave “a runway” for advisors to allocate to their clients. “Active share” measures the degree to which a fund’s portfolio differs from the holdings of its benchmark portfolio. High active share indicates management which is providing a portfolio that is substantially different from, and independent of, the index. An active share of zero indicates perfect overlap with the index, 100 indicates perfect independence. RiverNorth does not calculate active share, though the distinctiveness of its portfolio implies a very high level of activity. Messrs. Galley and O’Neill each have between $100,000 – 500,000 in the fund. Three of the four independent trustees have relatively modest ($10,000-100,000) investments in the fund while one has no investments with RiverNorth. December 27, 2006. The fund added an institutional share class (RNCIX) on August 11, 2014. $5,000, reduced to $1,000 for IRAs. 2.41% on assets of $727 million (as of September 2015). That’s a notoriously unreliable figure since it’s heavily influenced by the pass-through expense from the closed-end funds in which it invests. The fund has a 2% redemption fee on shares held fewer than 90 days. Normally the phrase “balanced fund” causes investor’s eyes to grow heavy and their heads to nod. Traditional balanced funds make a good living by being deadly dull. They have a predictable asset allocation, 60% equities and 40% bonds. And they execute that allocation with predictable investments in blue-chip domestic companies and investment grade bonds. Their returns are driven more by expenses and avoiding mistakes than any great talent. Morningstar places RiverNorth Core Opportunity there. They don’t belong. Benchmarking them against the “moderate allocation” group is far more likely to mislead than inform. RiverNorth’s strategy involves pursuing both long- and short-term opportunities. They set an asset allocation then ask whether they see more opportunities in executing the strategy through closed-end funds (CEFs) or low-cost ETFs. While both CEFs and ETFs trade like stocks, CEFs are more like active mutual funds. Because their price is set by investor demands, a share of a CEF might trade for more than the value of its holdings when greed seizes the market or far less than the value of its holdings when fear does. The managers’ implement their asset allocation with CEFs when they’re available at irrational discounts; otherwise, they use low-cost ETFs. In general, the portfolio is 50-70% CEFs. Mr. Galley says that it’s rare to go over 70% but they did invest 98% in CEFs toward the end of during the market crisis. That move primed their rocket-like rise in 2009: their 49% gain more than doubled their peer group’s and was nearly double the S&P 500’s 26%. It’s particularly impressive that the fund’s loss in 2008 was no greater than its meek counterparts. That illustrates an essential point: this isn’t your father’s Buick. It’s distinctive and more opportunistic. Over the fund’s life, it’s handsomely rewarded its investors with outsized returns and quick bounce backs from its declines. Here’s RiverNorth’s performance against the best passive and active options at Vanguard. The comparison against Rivernorth’s more opportunistic peer group shows an even more stark advantage. The fund is underwater by 3.4% in 2015, through October 30, after a ferocious October rally. That places them about 3.5% behind their Morningstar peer group. The short-term question for investors is whether that lag represents a failure of RiverNorth’s strategy or another example of the portfolio-as-compressed-spring? The managers observe that CEF discounts widen to levels not seen since the financial crisis. That’s led them to place 76% of the portfolio in CEFs, many that use leverage in their own portfolios. That’s well above their historic norms and implies a considerable confidence on their part. Core Opportunity offers unique opportunity, more suited to investors comfortable with an aggressive strategy than a passive one. Since inception, the fund has outperformed the S&P 500 with far less volatility (beta = 76) and has whomped similarly-aggressive funds. That long-term strength comes at the price of being out of step with, and more volatile than, traditional 60/40 funds. That’s making them look weak now. If history is any guide, that judgment is subject to a dramatic and sudden reversal. It’s well worth investigating. © Mutual Fund Observer, 2015. All rights reserved. The information here reflects publicly available information current at the time of publication. For reprint/e-rights contact us. This entry was posted in Stars in the shadows on November 1, 2015 by David Snowball. TCW/Gargoyle Hedged Value seeks long-term capital appreciation while exposing investors to less risk than broad stock market indices. The strategy is to hold a diversified portfolio mid- to large-cap value stocks, mostly domestic, and to hedge part of the stock market risk by selling a blend of index call options. In theory, the mix will allow investors to enjoy most of the market’s upside while being buffered for a fair chunk of its downside. TCW. TCW, based in Los Angeles, was founded in 1971 as Trust Company of the West. About $140 billion of that are in fixed income assets. The Carlyle Group owns about 60% of the adviser while TCW’s employees own the remainder. They advise 22 TCW funds, as well as nine Metropolitan West funds with a new series of TCW Alternative funds in registration. As of June 30, 2015, the firm had about $180 billion in AUM; of that, $18 billion resides in TCW funds and $76 billion in the mostly fixed-income MetWest funds. Joshua B. Parker and Alan Salzbank. Messrs. Parker and Salzbank are the Managing Partners of Gargoyle Investment Advisor, LLC. They were the architects of the combined strategy and managed the hedge fund which became RiverPark/Gargoyle, and now TCW/Gargoyle, and also oversee about a half billion in separate accounts. Mr. Parker, a securities lawyer by training is also an internationally competitive bridge player (Gates, Buffett, Parker…) and there’s some reason to believe that the habits of mind that make for successful bridge play also makes for successful options trading. They both have over three decades of experience and all of the investment folks who support them at Gargoyle have at least 20 years of experience in the industry. The managers estimate that they could manage about $2 billion in the stock portion of the portfolio and a vastly greater sum in the large, liquid options market. TCW appears not to have any clear standards controlling fund closures. “Active share” measures the degree to which a fund’s portfolio differs from the holdings of its benchmark portfolio. High active share indicates management which is providing a portfolio that is substantially different from, and independent of, the index. An active share of zero indicates perfect overlap with the index, 100 indicates perfect independence. Gargoyle has calculated the active share of the equity portion of the portfolio but is legally constrained from making that information public. Given the portfolio’s distinctive construction, it’s apt to be reasonably high. As of January 2014, the managers had $5 million invested in the strategy (including $500,000 in this fund). Gargoyle Partners and employees have over $10 million invested in the strategy. The strategy was originally embodied in a hedge fund which launched December 31, 1999. The hedge fund converted to a mutual fund on April 30, 2012. TCW adopted the RiverPark fund on June 26, 2015. $5000, reduced to $1000 for retirement accounts. There’s also an institutional share class (TFHIX) with a $1 million minimum and 1.25% expense ratio. 1.50%, after waivers, on assets of $74.5 million, as of July, 2015. Her point is clear: people react to the name, no matter how little sense that makes. In many ways, they make the same mistake with this fund. The word “hedged” as the first significant term of the name leads many people to think “low volatility,” “mild-mannered,” “market neutral” or something comparable. Those who understand the fund’s strategy recognize that it isn’t any of those things. The Gargoyle fund has two components. The fund combines an unleveraged long portfolio and a 50% short portfolio, for a steady market exposure of 50%. The portfolio rebalances between those strategies monthly, but monitors and trades its options portfolio “in real time” throughout the month. The long portfolio is 80-120 stocks, and stock selection is algorithmic. They screen the 1000 largest US stocks on four valuation criteria (price to book, earnings, cash flow and sales) and then assign a “J score” to each stock based on how its current valuation compares with (1) its historic valuation and (2) its industry peers’ valuation. They then buy the hundred most undervalued stocks, but maintain sector weightings that are close to the S&P 500’s. The options portfolio is index call options. At base, they’re selling insurance policies to nervous investors. Those policies pay an average premium of 2% per month and rise in value as the market falls. That 2% is a long-term average, during the market panic in the fall of 2008, their options were generating 8% per month in premiums. Why index calls? Two reasons: (1) they are systematically mispriced, and so they generate more profit (or suffer less of a loss) than they theoretically should. Apparently anxious investors are not as price-sensitive as they should be. In particular, these options are overpriced by about 35 basis points per month 88% of the time. For sellers such as Gargoyle, that means something like a 35 bps free lunch. Moreover, (2) selling calls on their individual stocks – that is, betting that the stocks in their long portfolio will fall – would reduce returns. They believe that their long portfolio is a collection of stocks superior to any index and so they don’t want to hedge away any of their stock-specific upside. By managing their options overlay, the team can react to changes in the extent to which their investors are exposed to the stock markets movements. At base, as they sell more index options, they reduce the degree to which the fund is exposed to the market. Their plan is to keep net market exposure somewhere in the range of 35-65%, with a 50% average and a healthy amount of income. On whole, the strategy works. The entire strategy has outperformed the S&P. Since inception, its returns have roughly doubled those of the S&P 500. It’s done so with modestly less volatility. Two things stand out: an initial investment in Gargoyle fifteen years ago would have returned more than twice as much as the same investment at the same time in Gateway (or the S&P 500). That outperformance is neither a fluke nor a one-time occurrence: Gargoyle leads Gateway over the past one, three, five, seven and ten-year periods as well. The second thing that stands out is Gargoyle’s weak performance in the 2008 crash. The fund’s maximum drawdown was 48%, between 10/07 and 03/09. The managers attribute that loss to the nature of the fund’s long portfolio: it buys stocks in badly dented companies when the price of the stock is even lower than the company’s dents would warrant. Unfortunately in the meltdown, those were the stocks people least wanted to own so they got killed. The fund’s discipline kept them from wavering: they stayed 100% invested and rebalanced monthly to buy more of the stocks that were cratering. The payback come in 2009 when they posted a 42% return against the S&P’s 26% and again in 2010 when they made 18% to the index’s 15%. The managers believe that ’08 was exceptional, and note that the strategy actually made money from 2000-02 when the market suffered from the bursting of the dot-com bubble. Morty Schaja, president of River Park Funds, notes that “We are going to have meltdowns in the future, but it is unlikely that they will play out the same way as it did 2008 . . . a market decline that is substantial but lasts a long time, would play better for Gargoyle that sells 1-2% option premium and therefore has that as a cushion every month as compared to a sudden drop in one quarter where they are more exposed. Similarly, a market decline that experiences movement from growth stocks to value stocks would benefit a Gargoyle, as compared to a 2008.” I concur. Just as the French obsession with avoiding a repeat of WW1 led to the disastrous decision to build the Maginot Line in the 1930s, so an investor’s obsession with avoiding “another ‘08” will lead him badly astray. What about the ETF option? Josh and Alan anticipate clubbing the emerging bevy of buy-write ETFs. The guys identify two structural advantages they have over an ETF: (1) they buy stocks superior to those in broad indexes, and (2) they manage their options portfolio moment by moment, while the ETF just sits and takes hits for 29 out of 30 days each month. There’s evidence that they’re right. The ETFs are largely based on the CBOE S&P Buy-Write Index (BXM). Between 2000 and 2012, the S&P 500 returned 24% and the BXM returned 52%; the options portion of the Gargoyle portfolio returned 110% while the long portfolio crushed the S&P. Nonetheless, investors need to know that returns are lumpy; it’s quite capable of beating the S&P 500 for three or four years in a row, and then trailing it for the next three or four. The fund’s returns are not highly correlated with the returns of the S&P 500; the fund may lose money when the index makes money, and vice versa. That’s true in the short term – it beat the S&P 500 during August’s turbulence but substantially trailed during the quieter July – as well as the long-term. All of that is driven by the fact that this is a fairly aggressive value portfolio. In years when value investing is out of favor and momentum rules the day, the fund will lag. TCW/Gargoyle Hedged Value homepage. If you’re a fan of web video, there’s even a sort of infomercial for Gargoyle on Vimeo but relatively little additional information on the Gargoyle Group website. This entry was posted in Stars in the shadows on September 1, 2015 by David Snowball. The fund’s first objective is to provide preservation of capital. Its secondary concerns are to provide income and long-term growth of capital. The fund invests primarily in fixed-income securities. It tilts toward shorter-term, investment grade issues while having the ability to go elsewhere when the opportunities are compelling. It also invests in foreign and domestic stocks, with a preference for dividend-paying equities. Finally, it may invest a bit in a managed futures strategy as a hedge. In general, though, bonds are 55-85% of the portfolio. In the past five years, stocks have accounted for 25-35% of the portfolio though they might be about 10% higher or lower if conditions warrant. Manning & Napier. Manning & Napier was founded in 1970 by Bill Manning and Bill Napier. They’re headquartered near Rochester, NY, with offices in Columbus, OH, Chicago and St. Petersburg. They serve a diversified client base of high-net-worth individuals and institutions, including 401(k) plans, pension plans, Taft-Hartley plans, endowments and foundations. It’s a publicly-traded company (symbol: MN) with $43 billion in assets under management. Of that, about $18 billion are in their team-managed mutual funds and the remainder in a series of separately-managed accounts. The fund is managed by a seven-person team, headed by Jeffrey Herrmann and Marc Tommasi. Both of them have been with the fund since its launch. The same team manages all of Manning & Napier’s Pro-Blend and Target Date funds. We generally look for funds where the managers have placed a lot of their own money to work beside yours. The managers work as a team on about 10 funds. While few of them have any investment in this particular fund, virtually all have large investments between the various Pro-Blend and Lifestyle funds. $2,000. That is reduced to $25 if you sign up for an automatic monthly investing plan. 0.87% on $1.5 billion in assets, as of August 2015. That’s about average for funds of this type. Pro-Blend Conservative offers many of the same attractions as Vanguard STAR (VGSTX) but does so with a more conservative asset allocation. Here are three arguments on its behalf. First, the fund invests in a way that is broadly diversified and pretty conservative. The portfolio holds something like 200 stocks and 500 bonds, plus a few dozen other holdings. Collectively those represent perhaps 25 different asset classes. No stock position occupies as much as 1% of the portfolio and it currently has much less direct foreign investment than its peers. Second, Manning & Napier is very good. The firm does lots of things right, and they’ve been doing it right for a long while. Their funds are all team-managed, which tends to produce more consistent, risk-conscious decisions. Their staff’s bonuses are tied to the firm’s goal of absolute returns, so if investors lose money, the analysts suffer, too. The management teams are long-tenured – as with this fund, 20 year stints are not uncommon – and most managers have substantial investments alongside yours. Third, Pro-Blend Conservative works. Their strategy is to make money by not losing money. That helps explain a paradoxical finding: they might make only half as much as the stock market in a good year but they managed to outperform the stock market over the past 15. Why? Because they haven’t had to dig themselves out of deep holes first. The longer a bull market goes on, the less obvious that advantage is. But once the market turns choppy, it reasserts itself. We have the ability to be more aggressive. For us, that’s based on current market conditions, fundamentals, pricing and valuations. It may appear contrarian, but valuations dictate our actions. We use those valuations that we see in various asset classes (not only in equities), as our road map. We use our flexibility to invest where we see opportunities, which means that our portfolio often looks very different than the benchmark. Pro-Blend Conservative has been a fine performer since launch. It has returned over 6% since launch and 5.4% annually over the past 15 years. That’s about 1% per year better than either the Total Stock Market or its conservative peers. In general, the fund has managed to make between 4-5% each year; more importantly, it has made money for its investors in 19 of the past 20 years. It is an outstanding first choice for cautious investors. Manning & Napier Pro-Blend Conservative homepage. From there you can download the fund’s fact sheet, a two page .pdf document which gives you updated information on what the fund has been investing in and how it’s doing. From there it’s easy to open a mutual fund account and set up your AIP. The Vanguard Group, Inc. The Japanese bestow the designation “Living National Treasure” on individuals of incomparable skill who work to preserve precious elements of the culture. If the US had such as designation, Vanguard founder Jack Bogle would certainly qualify for it. He founded Vanguard in May, 1975 as the industry’s only non-profit, investor-owned fund complex; in the succeeding decades he has been consistently, successfully critical of marketing-driven investing fads and high expenses. Vanguard advertises “at cost” investing and their investor expenses are consistently the industry’s lowest. They advise 160 U.S. funds (including variable annuity portfolios) and about 120 funds for non-U.S. investors. In total they have 20 million investors and are responsible for more than $3 trillion in assets. In general, you should look for funds whose managers invest a lot of their own money alongside your money. In this case, the managers have almost no investment in the fund but that’s not very important since their responsibilities are so limited. $1,000. 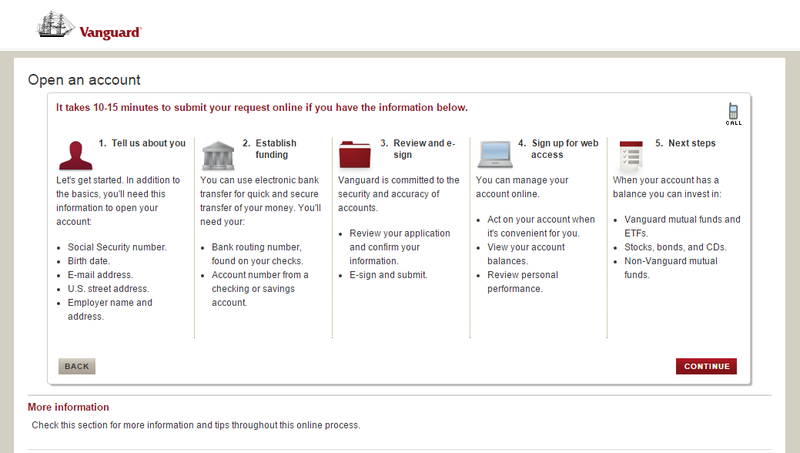 While Vanguard offers an automatic investing plan option, they don’t reduce the minimum for such accounts. That said, the STAR minimum is one-third of what Vanguard normally expects and the monthly minimum once you’ve opened an account is $1. 0.34% on assets of $19.1 billion. Why invest in Vanguard STAR? There are three reasons to consider it. First, the fund invests in a way that is broadly diversified and reasonably cautious. 60-70% of its money is invested in stocks, 20-30% in bonds and 10-20% in conservative short-term investments. Its stock portfolio mostly focuses on large, well-established companies and it gives you more exposure to the world beyond the U.S. than most of its peers do. International stocks constitute 21% of the portfolio but are only 13% for its average peer. That means investors are being given access to some additional sources of gain that most comparable funds skip. Second, Vanguard is very good. There are two sorts of funds, those which simply buy all of the stocks or bonds in a particular index without trying to judge whether they’re good or bad (these are called “passive” funds) and those whose managers try to invest in only the best stocks or bonds (called “active” funds). Vanguard typically hires outside firms to manage their active funds and they do a very good job of finding and overseeing good managers. Vanguard and its funds operate with far lower expenses than its peers, on average, 0.19% per year for funds investing primarily in U.S. stocks. Even Vanguard’s most expensive funds charge less than half as much as their industry peers. Every dollar not spent on running the fund is a dollar that remains in your account. GNMA GNMA is a government-owned corporation that backs mortgage loans made by the Veterans Administration and Federal Housing Authority; this fund invests in government mortgage-backed securities issued by GNMA. Short-Term Investment-Grade Bond high- and medium-quality, investment-grade bonds with short-term maturities. If you wanted to buy that same collection of funds one-by-one, you’d need to have $33,000 to invest. Dan Wiener, publisher of the well-respected Independent Advisor for Vanguard Investors newsletter, suggests eight funds in a model portfolio akin to STAR. That would require $24,000 upfront and you’d have to deal with the fact that PRIMECAP is no longer accepting new investors. STAR has been around for 30 years and has been a quiet, reliable performer. Its portfolio represents a cautious approach to some investment types (for example, stocks in the emerging markets) that its peers mostly avoid. Coupled with its substantial cost advantage over its peers, STAR has been able to outperform three-quarters of its peers. It has returned about 7% per year over the past decade, about 1% per year above the competition, but has been a little less risky. It’s a great all-around fund designed to do well year after year rather than post eye-popping returns over the short term. So you’ll need just seven pieces of information (eight if you include “your name”) to get started. When you’re asked what you’d like done with your dividends and capital gains, choose “reinvest them” so that the money stays in your account and keeps growing. Otherwise you’ll get them deducted from your account and mailed to you as a check. This entry was posted in Stars in the shadows on August 1, 2015 by David Snowball. The fund seeks long-term total return, consisting of both current income and capital appreciation. It is a “fund of funds” that invests in the low-cost Institutional Class shares of other TIAA-CREF funds. It is designed for investors targeting a conservative risk-return profile. In general, 40% of the fund’s assets are invested in stocks and 60% in bonds. The managers can change those allocations by as much as 10% up or down depending upon current market conditions and outlook. TIAA-CREF. It stands for “Teachers Insurance and Annuity Association – College Retirement Equities Fund,” which tells you a lot about them. They were founded in 1918 to help secure the retirements of college teachers; their original backers were Andrew Carnegie and his Carnegie Foundation. Their mission eventually broadened to serving people who work in the academic, research, medical and cultural fields. More recently, their funds became available to the general public. TIAA-CREF manages almost $900 billion dollars for its five million investors. Because so much of their business is with highly-educated professionals concerned about their retirement, TIAA-CREF focuses on fundamentally sound strategies with little trendiness or flash and on keeping expenses as lower as possible. 70% of their investment products have earned four- or five-star ratings from Morningstar and the company is consistently rated as one of America’s best employers. John Cunniff and Hans Erickson, who have managed the fund since its inception. December 9, 2011. Many of the funds in which the managers invest are much older than that. $2,500. That is reduced to $100 if you sign up for an automatic investing plan. 0.87% on $115 million in assets, as of July 2015. That’s about average for funds of this type. Lifestyle Conservative offers many of the same attractions as Vanguard STAR (VGSTX) but does so with a more conservative asset allocation. Here are three arguments on its behalf. First, the fund invests in a way that is broadly diversified and pretty conservative. 40% of its money is invested in stocks, 40% in high-quality bonds and the last 20% in short-term bonds. That’s admirably cautious. They then take measured risks within their various investments (for example, their stock portfolio is more tilted toward international stocks and emerging markets stocks than are their peers) to help boost returns. Second, TIAA-CREF is very good. There are two sorts of funds, those which simply buy all of the stocks or bonds in a particular index without trying to judge whether they’re good or bad (these are called “passive” funds) and those whose managers try to invest in only the best stocks or bonds (called “active” funds). TSCLX invests in a mix of the two with active funds receiving about 90% of the cash. CREF’s management teams tend to be pretty stable (the average tenure is close to nine years); most managers handle just one or two funds and most invest heavily (north of $100,000 per manager per fund) in their funds. CREF and its funds operate with far lower expenses than its peers, on average, 0.43% per year for funds investing primarily in U.S. stocks. Even their most expensive fund charges 40% less than their industry peers. Every dollar not spent on running the fund is a dollar that remains in your account. Lifestyle Conservative has been a fine performer since launch. It has returned 7.5% annually over the past three years. That’s about 2% per year better than average, which places it in the top 20% of all conservative hybrid funds. While it trails more venturesome funds such as Vanguard STAR in good markets, it holds up substantially better than they do in falling markets. That combination led Morningstar to award it four stars, their second-highest rating. TIAA-CREF Lifestyle Conservative homepage. From there you can download the fund’s fact sheet, a two page .pdf document which gives you updated information on what the fund has been investing in and how it’s doing. From there it’s easy to open a mutual fund account and set up your AIP. If you’ve got an iPhone, you can manage your account with their TIAA-CREF Savings Simplifier app. If instead, you sport an Android device (all the cool kids do! ), head over to the Play store and check out the TIAA-CREF app there. It doesn’t offer all the functionality of the iOS app, but it does come with much higher customer ratings. The James Balanced Golden Rainbow Fund (GLRBX/GLRIX) seeks to provide total return through a combination of growth and income and preservation of capital in declining markets. 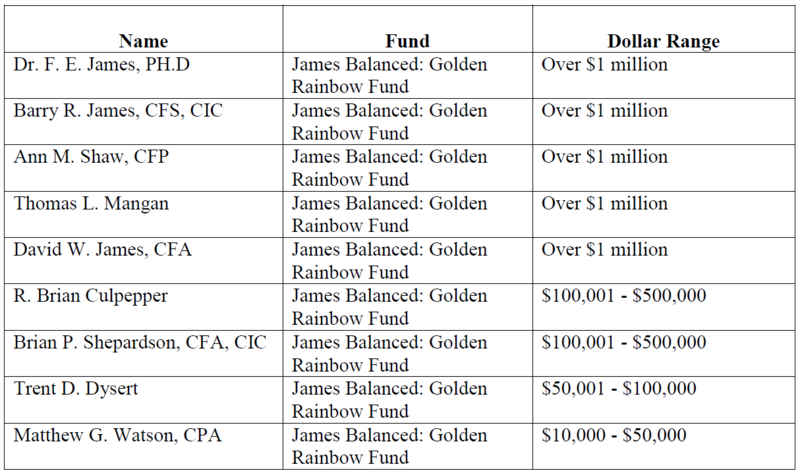 Under normal circumstances, the diversified James Balanced Golden Rainbow Fund invests primarily in undervalued domestic equities of companies with various market capitalizations and in high-quality (S&P’s rating of BBB or better) fixed income securities of various durations. At end of June 2015, the fund was 55% equity, 42% fixed income, and 3% cash equivalent. Median market cap was $7.6B (mid-cap, but with average about $15B) and average bond duration was 4.3 years. The fund will normally hold both equity securities and fixed income securities, with at least 25% of its assets in equity and at least 25% of its assets in fixed income. Its broad, go-anywhere (if long only) charter enables it to go to 100% cash equivalents for short periods or even 50% for longer periods, although the adviser usually finds better opportunities than cash. It will hold foreign equities, currently just a couple percent, but probably never more than 10% and usually in form of ETFs or ADRs. Similarly, it can hold sovereign debt. GLRBX’s allocation closely echoes the simple philosophy championed by Ben Graham in the Intelligent Investor and similarly touted by famed investors Harry Markowitz and John Bogle. Nominally 50/50 equity/fixed allocation, but then tailored based on investor temperament and/or market assessment, but never less than 25% in either. GLRBX targets defensively minded long-term investors. The fund attempts to provide total return in excess of the rate of inflation over the long term (3 to 5 years). James Investment Research (JIR), Inc. is the fund’s adviser. Dr. Francis E. James is the controlling share-holder. In 1972, he and his wife, Iris, started JIR in the bedroom of their son, David, with only $20K AUM. Their lofty goal was to garner $10M from family, friends and business relationships, which they considered the threshold AUM to enable purchasing a computer. A spokesman for the firm explains that marketing has never been the main focus: “It has always been doing research, taking care of our clients and managing their funds wisely.” Fortunately, performance of the early fund (a precursor to GLRBX that was a comingled trust fund managed by Dr. James for Citizen’s Federal Savings and Loan) was satisfactory and the conservative nature of the investments attracted investors. It grew to about $100 million in size in 1983. The name “Golden Rainbow” comes from the original S&L’s logo. Today the firm manages $6.5B for individuals, businesses, and endowments, as shown below. The preponderance is in GLRBX. It is a conservative allocation fund with $4.2B AUM, established formally in 1991. It is the firm’s oldest fund and flagship. JIR advises five other mutual funds “to provide diversification in our James Advantage Funds (aka James Funds) family.” These other funds appear to be offered to more aggressive investors for at least part of their portfolios, as capital preservation in declining markets is a secondary goal. GLRBX is managed by a 9 member investment committee. Average tenure is over 20 years with the firm. Three are James’ family members: founder Dr. Frank James, CEO Barry James, and Head of Research David James. The committee makes the determination of allocation, stocks approved for purchase or sale, and bond duration. Day to day, any member handles implementation of the committee’s guidance. Normal work flow for the Golden Rainbow fund has Dr. James, Brian Culpepper, and Brian Shepardson placing the bulk of the trades. Dr. James is 83 years old. He served in the Air Force for 23 years, achieving the rank of Colonel and headed the Department of Quantitative Studies at the Air Force Institute of Technology. He received his Ph.D. from RPI where his thesis was “The Implications of Trend Persistency in Portfolio Management,” which challenged the idea that stocks move at random and formed the basis for technical analysis still employed by the firm today. Basically, he observed that stock price movements are not random and trends persist. He remains engaged with the firm, does research, and provides mentoring to the team on a regular basis. Barry James also served as a pilot in the Air Force, receiving degrees from both Air Force Academy and Boston University, returning full time to James in 1986. All other members of the investment team have at least one degree from colleges or universities located in Ohio, except David James who holds no formal degree, but is a CFA. James admits that it focuses on advisers versus retail investors because it wants long-term relationships and it wants to avoid maintaining a large marketing staff. To put GLRBX in perspective, its AUM is just 1% of Vanguard Wellington Wellesley (VWINX) fund, which maintains an average market cap of about $90B in its equity portfolio. GLRBX reports against a blended index comprising 25% S&P 500, 25% Russell 2000, and 50% Barclays Capital Intermediate Government/Credit Bond indices. In practice, however, it does not follow a benchmark and does not compute the “active share” metric, which measures the degree to which a fund’s portfolio differs from the holdings of its benchmark portfolio. So, the metric is not particularly applicable here. We asked our friends at Alpha Architect to assess the GLRBX portfolio with their on-line Active Share Calculator (coming soon) and sure enough, they calculated 94.2%. July 1, 1991 for investor share class (GLRBX) and March 2, 2009 for institutional share class (GLRIX). When investing directly with James, just $2K for a GLRBX individual account, just $500 for a retirement account, and just $50 with an automatic investment plan. Institutional shares also have a friendly $50K minimum by industry standards. Just as a sample, Schwab offers GLRBX as a No Load/No Fee fund, with slightly higher minimums ($2.5K individual/$1K retirement) but imposes a short-term redemption fee. Similarly, Schwab offers GLRIX but with transaction fee and $100K minimum, but no short-term redemption fee. GLRBX charges a 1.01% expense fee annually, per its latest prospectus dated 11/01/2014, which is about 0.25% below industry average for the conservative allocation category. Its fee for active management is 0.66%. Unfortunately like most of the industry, James still imposes 0.25% 12b-1 distribution and/or shareholder servicing fee and still maintains two share classes. Most of the 12b-1 fees are paid to the broker-dealers, like Schwab, who sell fund shares. Multiple share classes mean shareholders pay different expenses for the same fund, typically due to initial investment amount, transaction fee, or association of some form. Institution shares (GLRIX) do not include the 12b-1 fee, resulting in a low 0.76% expense fee annually. On page 19 of the firm’s public disclosure of qualifications and practices (the so-called Part 2A of Form ADV: Firm Brochure) it states: “JIR does not have any soft-dollar arrangements and does not receive any soft-dollar benefits.” In fact, it is James’ practice to not pay for outside research; rather it conducts most of its research in-house. The track record since inception for GLRBX is enviable by any measure and across any time frame. Through June 2015, it is an MFO 20-year Great Owl, which means its shareholders have enjoyed top quintile risk adjusted returns based on Martin Ratio for the past 20, 10, 5, and 3 year periods. It is the only 20-year Great Owl in the conservative allocation category. It is also on the MFO Honor Roll, which means that it has delivered top quintile absolute returns in its category over the past 5, 3, and 1 year periods. Though it is a Morningstar 5 star fund based on quantitative past performance, the fund is not covered by Morningstar analysts. True to its objective across all these evaluation periods, the fund has delivered very satisfactory total returns while minimizing volatility and drawdown. James believes it is better to try and anticipate rather than react to the market. In doing so, it has developed a set of risk indicators and stock selection factors to set allocation and portfolio construction. James has quantified these indicators every week since 1972 in disciplined fashion to help reduce 1) emotional moves, and 2) base actions on facts and current data. The risk measures and stock selection factors include a combination of macro-economic, sector analysis, company fundamental, and even market and stock technical analysis, like moving averages, as depicted below. In his book, 7 Timeless Principles of Investing, Barry James discusses how the decision to sell is more important than the decision to buy. James never enters a position without having the conviction to hold a stock a minimum of six month. But, more importantly and distinct than say deep-value investors, like Bruce Berkowitz or even Dodge & Cox, James will exit a position based on technical analysis alone. Not drawdown limits per se but technicals none the less. Barry James explains: “We will sell a stock when it no longer offers good risk/reward return, which could be a change in fundamentals, but also weak price strength. While individual investors may often hang-on to poor performing stocks in hopes of a come-back, we see hanging-on to losers as an opportunity cost … we’ve developed the discipline to simply not do that.” Basically, fundamentals being equal, James would rather dump the losing stock for a stock with stronger price strength. On share-holder friendliness, the company does a lot right: skin-in-the-game through substantial investment in the fund by all managing principals and directors of the trust, the firm’s employee retirement plan is in the fund, weekly email with updates on allocation decisions, quarterly commentary newsletters, frequent special reports including an annual financial outlook, no loads, relatively low fees, and a published Guiding Principles document. Unlike socially responsible or so-called ESG funds, James applies no screen to restrict investments to firms practicing similar principles or of any religious association. At some level, all actively managed funds try to anticipate the future and position accordingly. By studying past results and identifying persistent premiums, like value or small cap stocks. By studying company fundamentals to find under-appreciated stocks of high quality companies. By finding pricing displacements or inefficiencies in the market and attempting to capitalize with say value arbitrage trades. By anticipating macro-economic events or recognizing trends in the market. James combines several of these approaches with its flagship fund for setting allocations, sector weightings, bond duration targets, equity selection, and portfolio construction in a way that mitigates risk, protects against downside, while still delivering very satisfactory returns. Given its track record, relatively small size, and disciplined implementation, there is no reason to believe it will not keep meeting its investment objective. It definitely deserves to be on the short list of easy mutual funds to own for defensive minded investors. James Advantage Funds maintains a decent website, which includes fund regulatory documentation, past performance, market outlooks, quarterly and special reports. Similarly, more information about the adviser can be found at James Investment Research. This entry was posted in Charles, Stars in the shadows on August 1, 2015 by Charles Boccadoro. J O Hambro Capital Management (JOHCM) is an investment boutique headquartered in London, but with offices in Singapore, New York and Boston. They were founded in 2001 and entered the U.S. market in 2009. As of March 2015, they managed $27.3 billion of assets for clients worldwide. Their US operations had $6.4 billion in AUM, with $3.1 billion in seven mutual funds. Christopher Lees and Nudgem Richyal. Mr. Lees joined JOHCM in 2008 after 20 years with Barings Asset Management where he was, among other things, Lead Global High Alpha Manager. Mr. Richyal also joined JOHCM in 2008 from Barings where he ran large global resources and Latin American equity portfolios. Lees and Richyal have been working together for more than 12 years. They manage about $15 billion in assets together, including the much younger, smaller and less accessible Global Equity Fund (JOGEX/JOGIX). 94.2. “Active share” measures the degree to which a fund’s portfolio differs from the holdings of its benchmark portfolio. High active share indicates management which is providing a portfolio that is substantially different from, and independent of, the index. An active share of zero indicates perfect overlap with the index, 100 indicates perfect independence. An active share of 94.2 is extremely high for a fund with a large cap portfolio. None, which is understandable since the managers are British and the fund’s only open to U.S. investors. The managers do invest in the strategy through a separate vehicle but we do not know the extent of that investment. July 29, 2009 for the institutional class, March 31, 2010 for the retail class. $2,000 for Class II retail shares, $25,000 for Class I institutional shares. 1.34% for retail shares, 1.09% for institutional ones on assets of $2.8 billion. Remarkably, those returns have not come at the expense of heightened volatility. Here’s the Observer’s risk-return profile for JOHAX’s performance against its international large-growth peers since inception. JOHAX has made rather more than twice as much as its peers; 98% total since inception, which comes to 14.4% per year. Raw volatility is in-line with its peers; the maximum drawdown, peak-back-to-peak recovery time, the Ulcer Index (which measures a combination of the depth and length of a drawdown) and downside deviation are not noticeably higher than its peers. Measures of the risk-return trade-off (the Sharpe, Sortino and Martin ratios) are all uniformly positive. What about that “bear decile”? On face, it’s bad: the fund has been among the worst 20% of performers during “bear market months.” In reality, it’s somewhere between inconsequential and positive. “Bear markets months” are measured by the movement of the S&P 500, which isn’t the benchmark here, and there have been only eight such months in the fund’s 60 months of existence. So, arguably inconsequential. And it’s potentially positive: JOHAX has such a high degree of independence that it sometimes falls when its benchmark is rising (three months) and rises when its benchmark is falling (3X) and it sometimes falls substantially more (3X) or substantially less (7X) than its benchmark. JOHAX has thereby earned the highest possible ratings from Morningstar (Five Stars, but no analyst rating because they’re off Morningstar’s radar), Lipper (Lipper Leader, not that anyone really notices, for Total Return and Consistent Returns) and the Observer (it’s a Great Owl, which means it has top-tier risk-adjusted returns than its peers in every trailing measurement period). Good question. The portfolio is very distinctive. It currently holds about 30 names, which makes it the most compact international large-growth portfolio on the market and one of the 10 most compact international large cap portfolios overall. The shares are all equally-weighted, which is both rare and useful. They claim to be benchmark agnostic, and that’s reflected in their sector and country weights. The fund’s most recent portfolio report shows huge divergences from its benchmark in most industry sectors. Similarly, their regional allocations are distinctive. The average international large cap fund has twice as much in Europe as in Asia; JOHCM weights them equally, at about 42% each. That Asian overweight is likely to become much more pronounced in the near term. When they close out existing positions, they sometimes just add the proceeds to their existing names. As of mid-2015, however, they’re reallocating toward Japan and emerging Asia, where all of their top-down indicators are turning positive. They describe Japan as “one of the cheapest developed markets in the world, [which] has finally embarked upon significant Western-style corporate restructuring, which is driving some of the fastest-growing earnings revisions and returns on equity in the world.” One spur for the change was the creation of a Nikkei 400 ROE index, which tracks companies “with high appeal for investors, which meet requirements of global investment standards, such as efficient use of capital and investor-focused management perspectives.” They point to tool-maker Amada as emblematic of the dramatic changes, and substantial price appreciation, possible once Japanese corporate leaders decide to reorient their capital policies in ways (the issuance of dividends and stock buybacks) that are shareholder-friendly. Amada failed to be included in the initial index, which led management to rethink and reorient. They are unwilling to stick with stocks which are deteriorating; they repeated invoke the phrase “weeding out the losers,” which they describe as “selling stocks that were broken fundamentally and technically.” Their process seems to find a fair number of losers, with turnover running between 50-80%. That’s about in-line with comparable funds. The managers believe they have “an idiosyncratic approach to stock picking that means [they] tend to look in parts of the market largely ignored by more traditional growth investors.” All of the available statistical evidence seems to validate that claim. Independence comes with a price: when you’re structurally out-of-step with the herd, there are going to be periods when your performance diverges sharply from theirs. There will be periods when the managers look like idiots and when you’ll feel (poorly-timed) pressure to cut and run. Trees don’t grow to the sky: as both Morningstar’s research and ours has demonstrated, it’s exceedingly rare for managers to decisively outperform their peers for extended periods and impossible for them to do so for much more than three consecutive years. Even Buffett’s longest win streak is just three years, which matches his longest losing streak and perpetually fuels the “has Buffett lost it?” debate. Closing is not a panacea: the advisor has determined that it’s in the best interests of current shareholders for the fund to restrict inflows. They’ve made that decision relatively early; they’re closing at about two-thirds of strategy capacity, which is good. Nonetheless, academic and professional research both show that performance at closed funds tends to sag. It’s not universal, but it’s a common pattern. There are no evident red flags in the fund’s construction, management or performance. There’s an indisputably fine record at hand. Folks interested in an idiosyncratic portfolio of high growth international names should review their options quickly. Investors who are hesitant to act quickly here but can afford a high minimum might consider the team’s other U.S. fund, JOHCM Global Equity (JOGEX). It’s small, comparable to their European global fund and off to a fine start; the downside is that the minimum investment is $25,000. JOHCM International Select. Be patient, the navigation takes a while to get used to. If you click on the “+” in the lower right of each box, new content appears for you. There’s parallel, but slightly different, content on the webpage for the fund’s European version, JOHCM Global Select, which has a bunch US stocks since, for their perspective we are a “foreign” investment. This entry was posted in Stars in the shadows on June 1, 2015 by David Snowball.